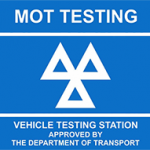 Volkswagen , Audi, Seat & Skoda specialist near Aylesbury Buckinghamshire. Service and repair. We are a local independent Volkswagen, Audi, Seat and Skoda car repair and service garage situated within Whitchurch, near Aylesbury,12 miles from Buckingham, specialising in RS and R8 models. We have over 54 years combined experience with Volkswagen , Audi , Seat and Skoda vehicles. Our customers deal directly with the technicians maintaining your vehicle to offer a personal, friendly and honest service. 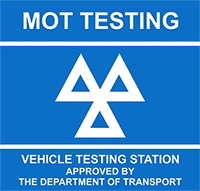 Vass-Tech carry out MOT's, air conditioning R1234YF,Four wheel alignment, and can supply and repair tyres on site. We also carry out complimentary summer and winter health checks. Vass Tech can save you up to 50% on main dealer prices without compromising on quality. We understand your time is precious, so why not ask about using our complimentary courtesy car or local collection & delivery service (subject to availability). We look forward to looking after you and your vehicle. Vass-tech are featured in Feb 2017 Audi Driver magazine. VASS-TECH AUTOMOTIVE LTD Are pleased to let you know we are back in Whitchurch in our brand new workshop.